Please note that an audition form is now available on the downloads section of this show. You need to download this and give it to Sally Durrant either at the pre audition rehearsals or bring it with you on the day. We have been rehearsing hard in readiness for Auditions this weekend and Monday but despite the enormous number of Ladies we have very few men turning up to be in the Show. 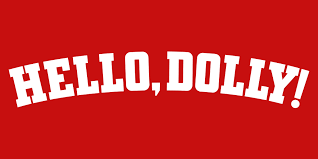 Hello Dolly needs more men than we have now – we can work with less than the ideal number but we have to fill the principal roles and have enough left over for the ensemble. To enable us to find them and to save putting Auditionees through the pain of Sunday and Monday when we don’t know if the Show can go ahead we have taken the decision to delay auditions to try and boost the numbers of men. Principal auditions will now take place on Monday 11th February starting at 7.30pm at St Marks Hall in Reigate and the Ensemble auditions will be prior to that on Thursday 7thFebruary – 8.00pm also at St Marks Hall . So that people can refresh/rehearse or learn we will have a general rehearsal on Monday February 4th – St Marks Hall at 7.45pm. So men – if you can help or if any others of you can persuade some to come along that would be great. They need not worry about the auditions – they will be workshop style to help them and we need them so we will help in every way that we can. In the interim there will not be any rehearsals other than those listed above and anyone else wanting to be in the Show should contact me. The stark truth is that despite the enthusiasm and talent of the prospective cast so far we need at least 6 more men to make this Show work. We want to go ahead as we think it will be a great Show and to be performing it when it is going to be in the West End this year as well is wonderful so please put the word out to enable this to happen . Monday December 3 – 8.00pm - St Mark’s Hall, Alma Road, Reigate. Sunday January 20th – 2.00pm – United Reform church, Shaw’s Corner, Redhill. Rehearsal Dates will generally be Mondays and Thursdays from January 28th onwards (excluding January 31st) up until the Show – final details will be ready by the launch night. Audition pieces will be announced at the Launch Night and will be posted on the website after that. 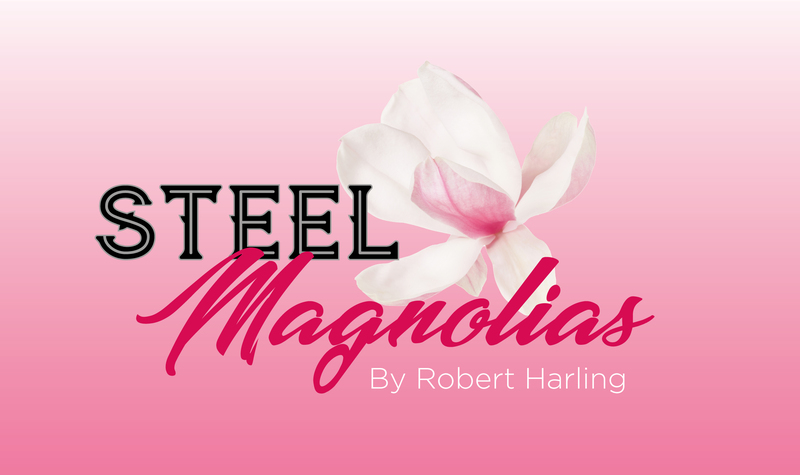 Steel Magnolias is a superb comedy-drama about the bonds a group of women share in a small-town community in the American South. Over the course of a few years, we see that beneath the gossip and joking lie strong relationships formed across years of close community life. As the women share stories about their lives and families, they reveal occasional glimpses of their deeper fears and challenges, as well as their triumphs, and ultimately demonstrate how their friendship gives them the strength to cope with tragedy. A fabulously fun award-winning musical based on the adored movie, Legally Blonde The Musical, follows the transformation of Elle Woods as she tackles stereotypes and scandal in pursuit of her dreams. Action-packed and exploding with memorable songs and dynamic dances - this musical is so much fun, it should be illegal!